To date, DST has made four different versions of the MAX Stealth Jet. What's one more? Here's a little video of it in action. It only looks slow in the video, I had to slow the video down so you could recognize the jet. If I showed you at full speed, all you'd see is a gray blur. It's proven that the shark head nose art increases speed (and awesomeness) by three orders of magnitude. I'd love to see this as an actual, produced version. 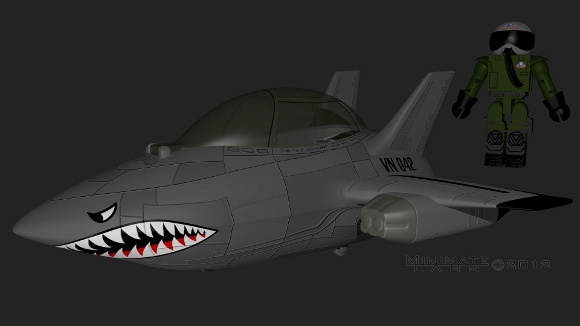 They could include several more stickers with all sorts of iconic nose art. Remember way back during Comic-Con when I said I'd have a new computer generated animation ready to show? Well, I didn't think it was going to take two months to finish. When I got back I saw a few things I wanted to change, a couple scenes I wanted to add... and the Comic Cover Contest at the Multiverse didn't help matters. Nevertheless it's now "done", not perfect mind you, just done. 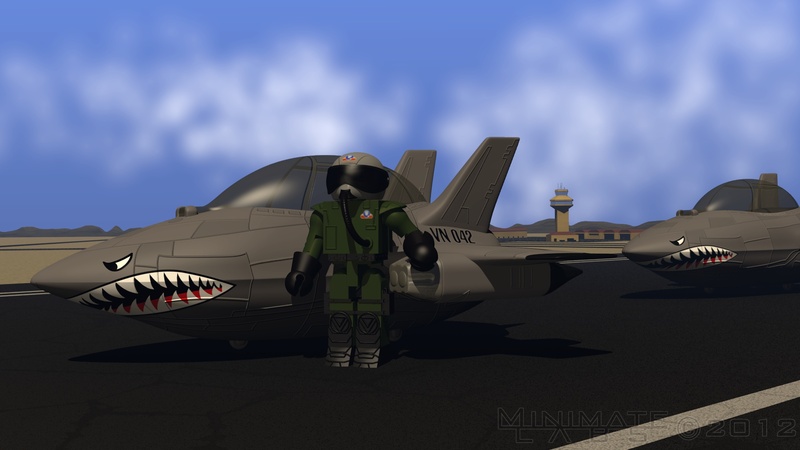 Using the the Stealth Jet and Pilot from the Mobile Action Xtreme line, I've created a short with lots of swooshing noises and a recognizable (perhaps?) anthem.